Keeping in contact with our loved ones in today’s world can be quite difficult. Even in the age of social media and Wi-Fi calls, sometimes we are just too busy or tired after a long day to pick up our phone. Of course, this doesn’t mean we don’t care about our friends and family in far flung places, or even those just down the road! It is simply an unfortunate side effect of today’s modern, hectic lifestyle. But the technology which so often keeps us at work for long hours can also be used to send quick, simple and personal signals across the miles, to show that we are thinking about our loved ones. One the newest types of tech to help us keep bonds alive over great distances are friendship lamps. In this article, we examine how friendship lamps work and give you our favorite choices available on the market today. Some friendship lamps work by connecting through a Wi-Fi connection. In many cases, they are also linked up within a special online account. This will all have to be set up upon the purchase of your lamps, but it is generally very straightforward to configure. These settings enable a lamp to recognize when another lamp which is linked to it has been touched - resulting in the recipient lamp lighting up. With some models, you have the option of linking multiple lamps to each other. This is fantastic for families who live apart. In some cases, you can have as many as four lamps connected, with an option to have a different color displayed for each person, so you know who is sending you love. Friendship lamps generally work with voltages ranging between 100 and 240V, so this means they are perfectly suited for US and European sockets. Of course, if you are using a friendship lamp in a remote location, you should be able to get relevant adapters to enable use wherever you are. Depending upon the type of friendship lamp you choose, there may be settings which determine how long the lamp will stay illuminated after it has been activated. For example, you can set the lamp to stay alight for a number of hours, or until the touch is returned to you. This is especially useful if you are in a very different time zone to your friend or family member, who may be away from home when you send your message. A different kind of connected lamp is one which can be activated by an app. These lamps will light up or change color on command by the app owner. They can be a sweet alternative to pairs of Wi-Fi connected lamps, which are generally more expensive. The main difference is that these lamps only pass a message one way, so you can switch them on when you want your friend or relative to know you are thinking about them. Other friendship lamps are not connected across distances, instead they serve as a beautiful reminder of a friend who is far away. These lamps come in a wide variety of intricate designs which make unique gifts for a loved one. Below, we take a look at our top 3 friendship lamps. The FILMIN lamp is truly a unique offering in the world of friendship lamps. This Wi-Fi connected light allows you to send a smile to a friend or family member, no matter how far away they may be. This lamp was invented and funded through an online campaign, to bring a unique way for people to stay connected through the gesture of a warming light. You simply touch the lamp at the top and the other person’s lamp will illuminate, letting them know you are thinking about them. As many as four of these lamps can be connected together at once, in order to keep in touch with many loved ones at one time. Every person who is linked has the option to have their own individual color. This means that whenever they touch their lamp, everyone else’s lamp will light up with that person’s unique color - so you can easily tell who is sending their love. The FILIMIN lamp has a beautifully sleek and elegant design which appears as smooth tiled stain glass on all sides. It would make an attractive addition to your home. This Wi-Fi friendship lamp is very easy to use. Once it has been set up, all you need do is tap on the top to send a light message to everyone else on the network. Even better, when your loved ones have seen your message, they can tap their own lamp to send a message right back to you. 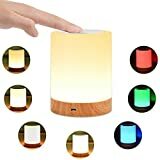 If multiple people return the gesture, your lamp will cycle through the colors of each person who replied, so you can tell who responded first. The FILIMIN lamp measures 8 inches high by 5 inches across. It requires 3 watts of power and has a US plug as standard. The sides of the lamp are frosted stained glass, while the edges and base are a matt black. The lamp remains unilluminated until you or someone linked touches it. We think the FILIMIN friendship lamp is a wonderful, unique way to send loving light to the lives of your treasured friends and family. Some people can be a little anxious when it comes to setting up new tech products. But you do not need to worry about struggling to get started with your FILIMIN friendship lamps. The instructions are super easy to follow, ensuring you can get on with sending light messages in no time. Once you have purchased your lamps, go to the website address provided and enter your Wi-Fi details. After you have done this, instructions will appear on the screen which guide you through the next steps to connect and link your friendship lamps. These are very straightforward, but should you run into any problems, there is a FAQ and contact section you can click on to get help. Once each person has connected their lamp to the Wi-Fi signal in their individual location, you can move onto the more detailed settings. Here, you can name your own lamp and also set the name of the group of lamps it is connected to. You can choose whether or not you want your lamp to only illuminate at certain times of day in your time zone. You can also choose how long the lamp should remain lit up after someone has touched it. A common option is to set the lamp to fade after an hour, so that it is not sitting illuminated for hours when no-one is at home. A particularly great benefit is the ability to change the colors for everyone in the group. You do not have to do this, but it is very useful if you have more than two lamps connected; you can then tell who is sending the message. If you do not set a color, your lamp will light up in a variety of colors every time a message is sent. Good Night Lamps are another choice of unique linked lamps which have a cute, homely design. They consist of one larger lamp shaped like a house, and many other smaller versions which can be connected to each other all over the world. Both large and small lamps have an attractive wood outer layer, with a frosted glass front which conceals the lightbulb within. They are very subtle and stylish, able to blend beautifully into your home without giving away their purpose. Once the big lamp is turned on, all the connected smaller lamps will turn on too, in well over 100 countries. Good Night Lamp features a constantly updating list of locations on their website in which their products will work. These lamps are a particularly wonderful choice for families, especially those who are spread across states or countries. The big lamp is intended to be used in the family home, sending a light of love out to all the family members who own the smaller lamps. More little lamps can be added as the group grows. A great benefit of these lamps is that the manufacturers are partnered with global mobile networks, which enables you to use these lamps without a Wi-Fi connection. All that's required is enough mobile coverage to enable you to receive standard text messages! 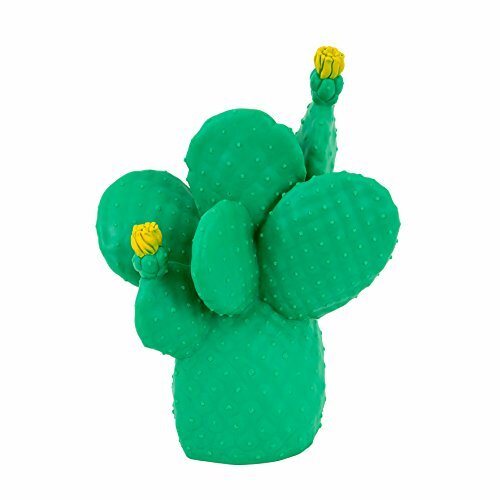 Setting up your Good Night Lamp is very easy, they work almost immediately out of the box! Once you have unwrapped your Good Night Lamp, connect it with the USB adaptor, which should be included in the box, and plug it into a wall mains socket. It is important you do not attempt to plug it into a laptop computer or an alternative power source. When you have plugged the lamp into the mains, it will start to flicker as it searches for a mobile network to connect with. This can take up to 6 minutes. Once this has passed, turn on the large lamp by pressing down the button on the chimney. Once you have pressed this button you should see the smaller lamp also light up. It may take a minute or two at first, so don’t worry if it isn’t immediate. The downside to these friendship lamps is that only the larger light activates the smaller ones; the recipient cannot respond. If you have any problems connecting the lamps, there is a very helpful FAQ section on the manufacturer’s website. Friendship Lamp Australia is an Australian made friendship lamp specifically designed for long distance relationships. They can be Wi-Fi connected to many other lamps owned by family and friends at multiple locations all over the globe. 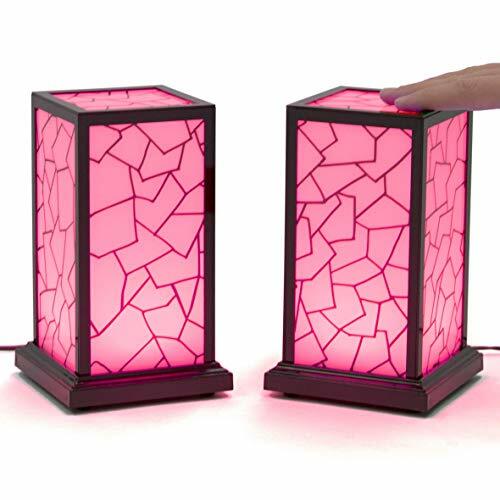 Available in a wide range of colors, every friendship lamp in the network will light up when one of them is touched. The color of the sender’s lamp will determine the illumination color of all the recipient lamps in the group. The beautiful thing about this is, when someone else in the group responds, their color lights up every connected lamp too! You can see a real time sending of color, love and thoughts from loved ones across the world. Friendship Lamps have a solid wooden base, beneath a smooth frosted glass lamp which is flattened on top. The top of the lamp features a black or silver round disk which is the point you must touch to send a signal. The lamps have a very modern and sleek design which will suit any room. 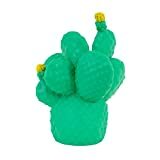 These friendship lamps are extremely easy to set up. All you need to do is plug it into the power, connect to your Wi-Fi and follow the instructions. After you are set up, simply touch the button to send your light message out to others connected to you. If you turn off the lamp or move it to another room, the lamp will still remember the last Wi-Fi connection it had. 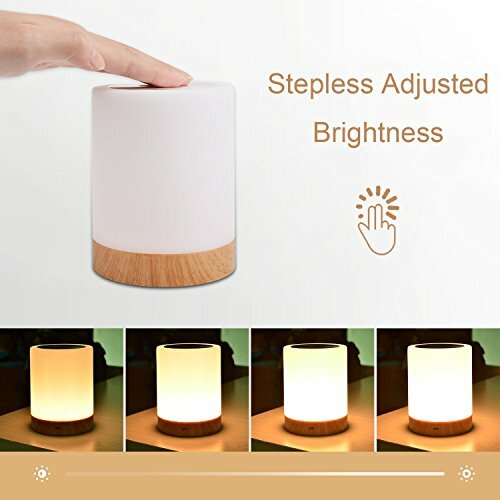 Every lamp comes with an easy-to-follow guide which explains how to adjust the color settings and connect to other lamps. In our modern lives, many more of us are moving away from our home towns and cities, to work and travel across the globe. While the availability of travel and technology is a wonderful advancement, it is also important to take time out to maintain real human connections with our loved ones. Friendship lamps are a beautiful way to use technology to send light messages of love to those far away. There is something about the unexpected glowing light from a lamp which is more personal and heartwarming than a social media message or text. 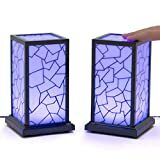 These unique lamps are a certainly a fantastic choice to let your loved ones know you are thinking about them, during those days when you are too busy, or tired, to make a call or send a message.